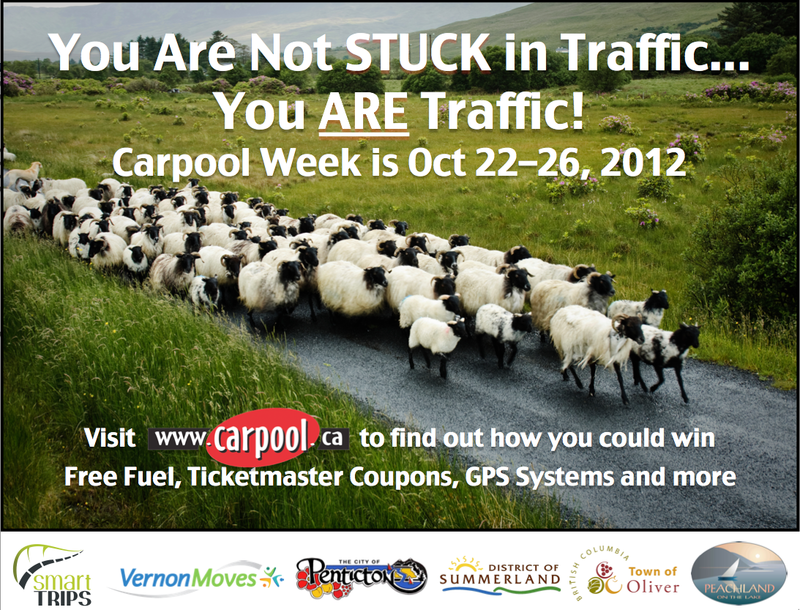 Car Pool Week Oct 22-26 – Enter to win prizes! Oct 22-26 is Carpool Week. Sign Up to win prizes – see OC Car Pooling Website for details. Even if you only do it once, take the time to try it out. You may find you like it – and you will certainly feel good about having done a small part to make a big difference! A new organization in Kelowna is in the process of starting a Car Share Co-Op in Kelowna. The Okanagan Valley is without a formal car sharing service today. However, the Okanagan Car Share Co-op wants to provide car sharing services to the citizens, educational and public institutions, and businesses within the Okanagan Valley. Take the survey to ensure that students and staff at OC can make the most of this opportunity! What Are Your Plans for Earth Day this weekend? To honor this Occasion, OC will be hosting an E-waste Recycling depot at the KLO Campus this Saturday April 21st, from 9-3! It’s the day before Earth Day (Officially Apr 22) – so you can stretch the event into a whole weekend! Campus Planning and Facilities Management at Okanagan College is committed to environmentally sustainable maintenance and development. Can we travel and trade without oil? Oil is a non-renewable resource that causes climate change, war and fiscal debt, as well as pollution, habitat destruction and political corruption. Join award-winning author Guy Dauncey as he explores transportation without oil, in this free lunchtime webinar. BC Sustainable Energy Association (BCSEA) is hosting an Electric Car Show at the Mission Creek Park EECO Center on June 8th, 7-9 PM. Come out and see what your future will look like!